Using curtains is a perfect way of dressing up any room. 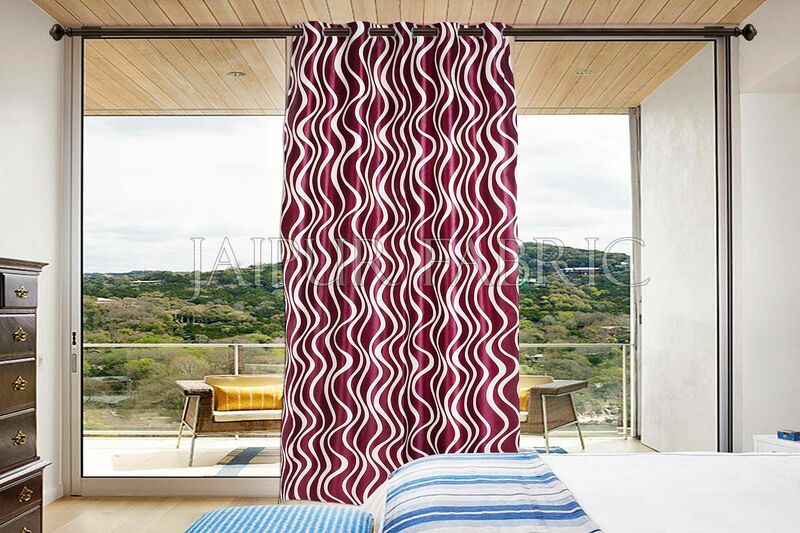 It also adds color and style to the windows along with giving your room privacy at the same time. If you want to add curtains to your home, you need to be interested in something completely unique and save money by sewing the curtains yourself. You can make your curtains within a short period with a simple pattern, using a sewing machine and a top quality curtain fabric. Each type of curtain fabric available has its own pros. Here are some tips on the best kind of curtain fabric and tips that will help you know which material best suits your windows. • Lightweight Fabric- Lightweight fabrics, like lace, sheer cotton and linen, are very good choices for curtains. Consider the decoration of your home and the amount of light that comes through your windows if you are selecting lightweight fabric for sewing your curtain. For example, delicate lace looks best when paired with antique and dressy decoration while cotton on the other hand is a bit more versatile. Lightweight fabric also allows a bit of light to enter your home. So, while it might not be suited for use in a bedroom, it can do much to warm up a sitting kitchen or room that lacks natural light. Finally, lightweight curtain fabric can be layered over heavy fabric if you like the pattern and still need more light protection at the same time. • Patterned Fabric- Using patterned fabrics for curtains makes your decor look great. The designs of different decorative fabric prints add a lot to your bedroom, living room or bathroom, particularly if other decorations in these rooms look minimalistic. Patterned fabrics come in a variety of styles, from striped styles and floral fashions to animal prints and plaid varieties. 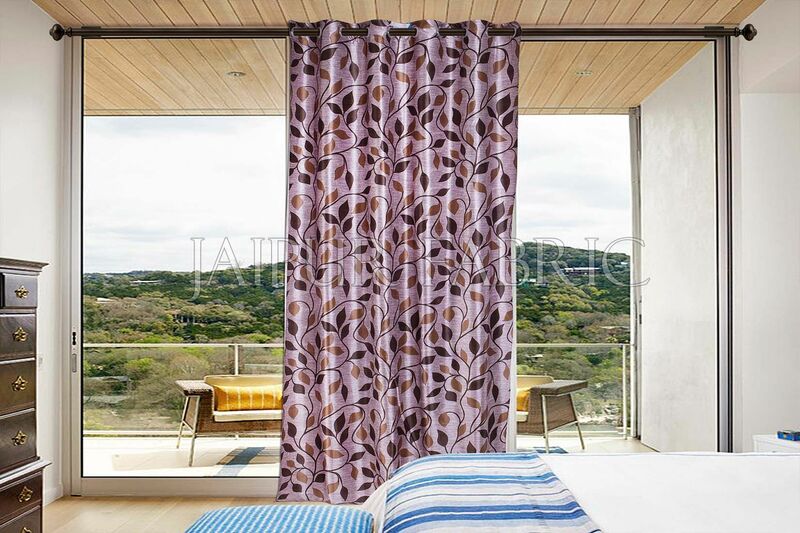 Patterned fabrics will suit the curtain requirements for any of the rooms in your home. You can find a broad range of quality fabrics– cotton dobby, cotton cambric, cotton jacquard, cotton slub, cotton checks, south cotton, Jaipur fabric, handloom cotton, khadi cotton and cotton linen fabrics. • Heavyweight and Medium Weight Fabrics- If you need a highly functional curtain that will keep out cold and light, then you may consider using a heavier fabric. Whether it is a formal, cottage, contemporary, country or traditional curtain, you want to sew; medium-weight fabrics are perfect because they are practical and versatile. Medium-weight fabrics, like cotton and canvas, come in different varieties and goes with any home decoration style. Heavyweight fabrics, like suede, tapestry, denim, velvet and tweed, are often used for commercial curtains, like those found in hotels. These heavyweight fabrics are great for home use as they reduce the amount of light that comes in and they also help to balance the heat during the winter seasons. Heavyweight and medium-weight fabrics can also add texture to your room and can also be the focal point of your room’s decoration, if it's your choice. There is much to think about when deciding on which fabric to use for window treatments. Choosing the correct texture, weight, light-exposing qualities or light-blocking, along with the fabric’s durability is just the beginning. 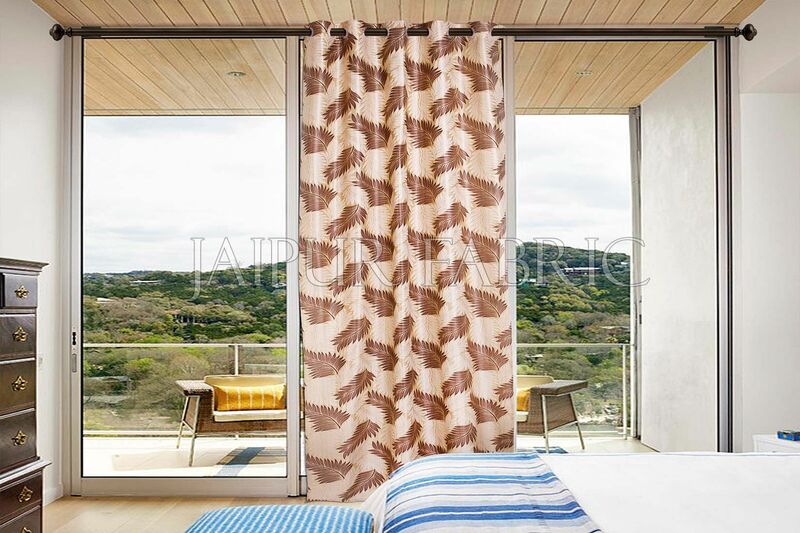 Jaipur print curtains come with bold and motifs and vibrant color prints. These are not common, but they are great for window panels. So why not think out of the box and you will be surprised by the result you will get.